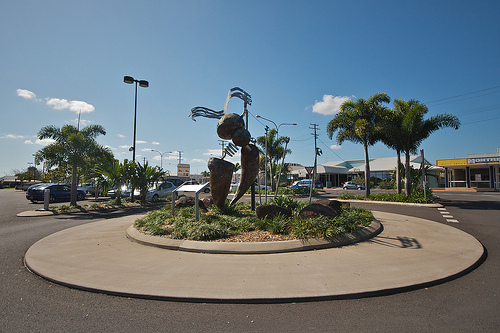 Bundaberg Australia is on southern Queensland coast. 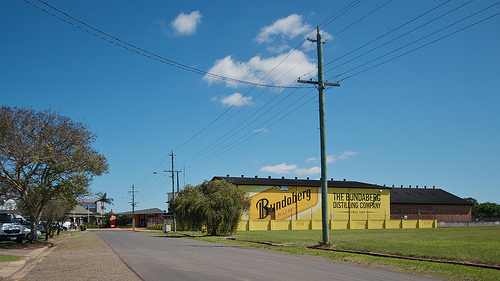 this town is mostly known for the factory of Australia's own sugar cane rum - the Bundaberg, aka Bundy Rum. 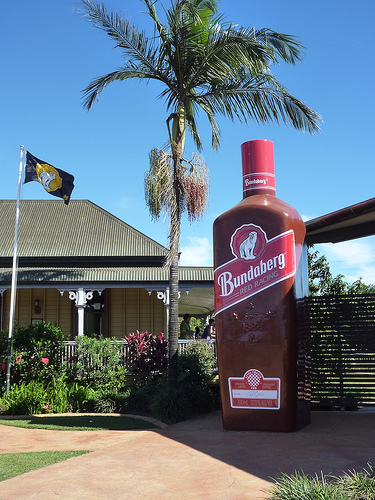 Bundaberg is the only place in Australia where all the steps in sugar production take place: growing, milling, refining and distilling. The rum factory is east of the city centre, and it has tours where you can learn all about how the rum is made from molasses to bottling. There is also a plantation house - Spring Hill House, that contains a museum, a souvenir shop and a bar where you can sample the product. 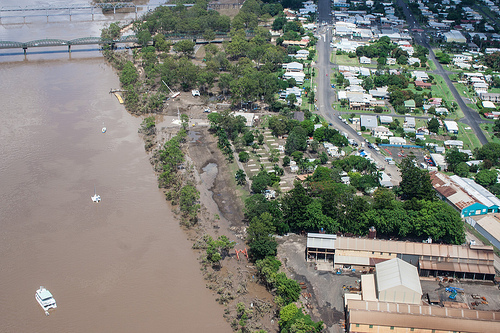 The town is on the banks of Burnett River - a great place for fishing, boating, water skiing and other recreational activities. There are also river cruises, charters, a marina and many nice parks. The city centre south of the river has all the shopping and everything else you may need, as well as an arts centre, a theatre and a zoo in Alexandra Park. Further east along the river is the departure point for trips to Lady Musgrave Island and the Great Barrier Reef. North of the river are Hinkler Park and the town's Botanical Gardens with three great museums - Bundaberg and District Historical Museum, Fairymead House Sugar Museum, and the Hinkler House Museum. There are lily ponds, boardwalks and Chinese and Japanese Gardens, as well as the Dream of Hinkler Hall of Aviation, a working steam cane train and a cafe. 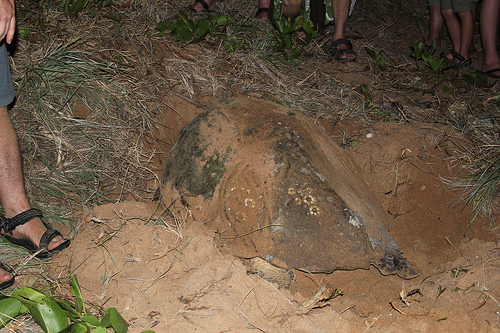 Just south of Bundaberg is Mon Repos - an important turtle hatchery where large marine turtles come to the beach to lay their eggs between November and February every year. Limited numbers of people are allowed on the beaches where you can watch them. There are hotels and apartments such as Alexandra Apartments, Alexandra Lodge, Best Western Boulevard Lodge, Country Comfort Bundaberg and Quality Hotel Burnett Riverside. But the most abundant are motels, and they include Acacia Motor Inn, Alexandra Inn, Alexandra Park Motor Inn, Best Western City Motor Inn, Bundaberg Spanish Motor Inn, Chalet Motor Inn, Bert Hinkler Comfort Inn, Coral Villa Motor Inn, Golden Palms Motor Inn, Matilda Motel, Oscar Motel, Park Lane Motel, Riviera Motel, Sun City Motel and Villa Mirasol Motor Inn. Here's a map of Bundaberg Australia. You can double-click anywhere on the map to zoom it in and see the places closer. Drag the map to move around, and if you want to see the satellite image with Google Earth, click on "Sat" in the top right hand corner. Did You Go to Coastal Queensland or Live there? Did you go to costal Queensland?